Itel S13 – The Cheapest Selfie Phone Yet? 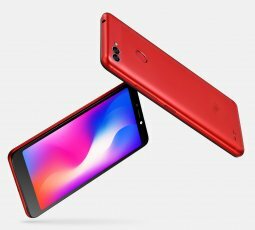 In the last quarter of 2018, Itel-mobile rolled out her third most anticipated smartphone of the year and called it the Itel S13 which happens to be a selfie-centric phone. 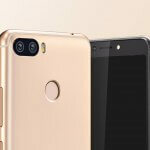 The Itel S13 just like any other dedicated selfie smartphone is an android smartphone that was designed with selfie lovers at heart. If you are the type that takes countless number of quality selfie shots in Nigeria, at least up to 50 photo shots in a day; the Itel S13 might just be what you need. The Itel S13 among other selfie smartphones is distinctive in its own way. Aside having a unique selfie camera, the Itel S13 also looks very fashionable and attractive. But having a decent camera and fashionable look isn’t just enough to convince a would-be buyer but the price tag will definitely do. With only a few thousand box, you can buy the Itel S13 in Nigeria. How much is the Itel S13 in Nigeria? Before we talk about the price, let’s examine her key features. In Nigeria, the Itel S13 is available in the following colors; midnight black, Bordeaux red and champagne gold. 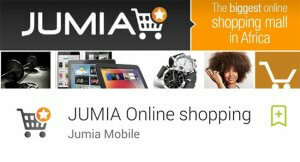 It is selling at an affordable price. The cameras on the Itel S13 is by far the biggest upgrade of this smartphone. This is in fact the number one reason why you will consider buying this phone in the first place. On the Itel S13 is a 13MP selfie camera and two 5MP rear cameras. On the selfie camera, there is a 4 in 1 big pixel camera technology working together as a single unit. With the 13MP selfie camera on the Itel S13, you can take quality selfies in different light conditions. You can even use the LED flash in front to take bright selfie shots in low-light. Also available on the camera of the Itel S13 is an innovative camera technology that comes with an upgraded face beauty (v2.0) camera feature. In summary, the overall quality of the cameras on the Itel S13 are amazing. One can hardly belief this is coming from Itel-mobile. I must say this is commendable. Years back, if someone tells me I can get an android phone with decent camera quality at an affordable rate in Nigeria, I would laugh out loud and say no way. But thank God times have change, with only #24,500 you can buy a selfie-centric smartphone that can take astonishing photos you can share on social media and be proud of. The Itel S13 comes with a silk and striking mattle design that looks very fashionable and attractive even though the body is made of plastic. It is also very easy to handle considering its size. 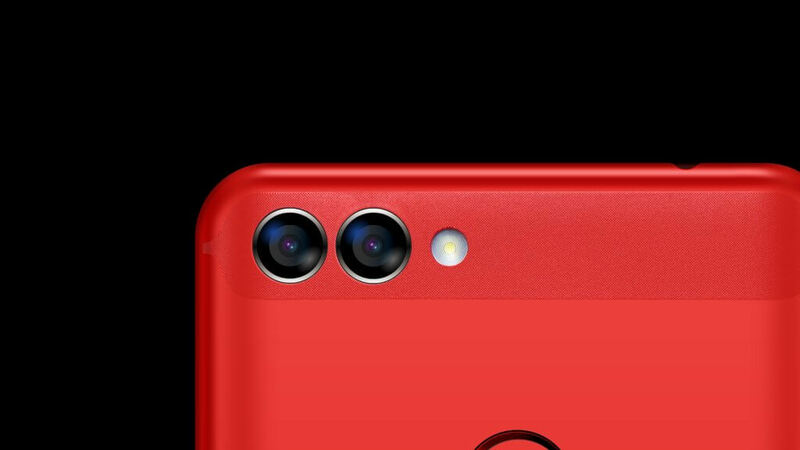 The placement on the Itel S13 are not far from the normal tradition. In front, you will see the selfie camera, flashlight and earpiece on the top bezels. 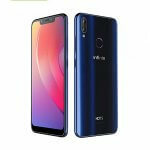 At the rear, you will easily identify the two vertically placed 5MP cameras with LED flash, fingerprint reader, Itel encryption logo and speaker grill. When you take a closer look at the edges, you will notice that there is a 3.5m headphone jack at the top, a power and volume button at the right and a micro USB port at the bottom. On the Itel S13 is a 5.5inch full and vivid IPS display. The buttons are on-screen and there is also a gesture key to take advantage and enjoy full visual experience. On the battery segment, the Itel S13 came with an entry-level 2400mAh non-removable battery that is just enough to keep the smartphone running even with heavy gaming and long hours of movie watching. With the 2400mAh battery on board, you are guaranteed up to 1 full day usage with the phone. For those who are more of an average usage, the Itel S13 can take you through the next day. 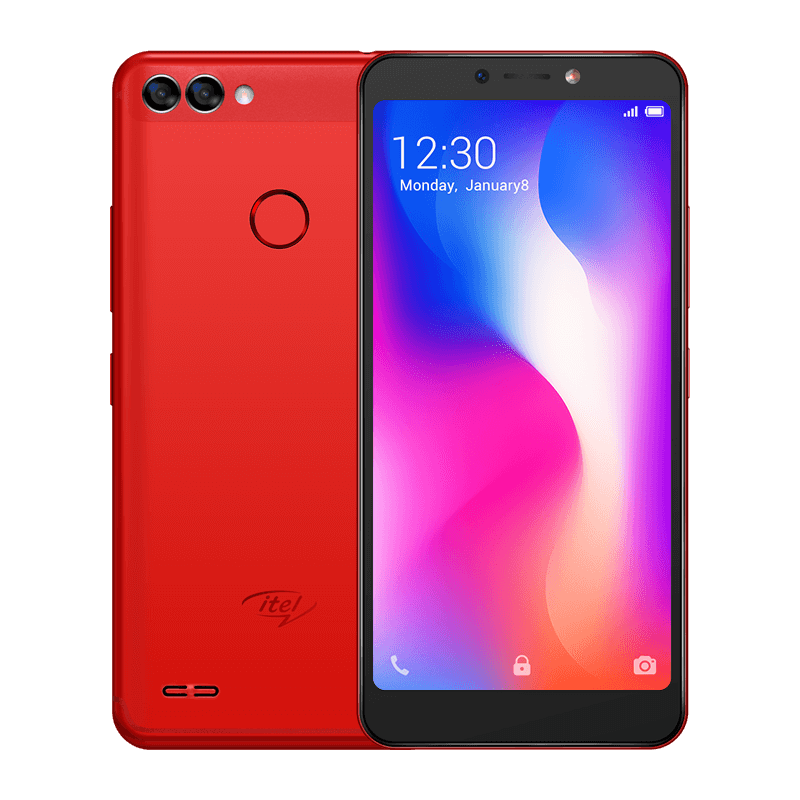 On the software scene, the Itel S13 can almost be identified as an almost stock android smartphone, everything here seem to be the way Google envisioned her OS from the onset. 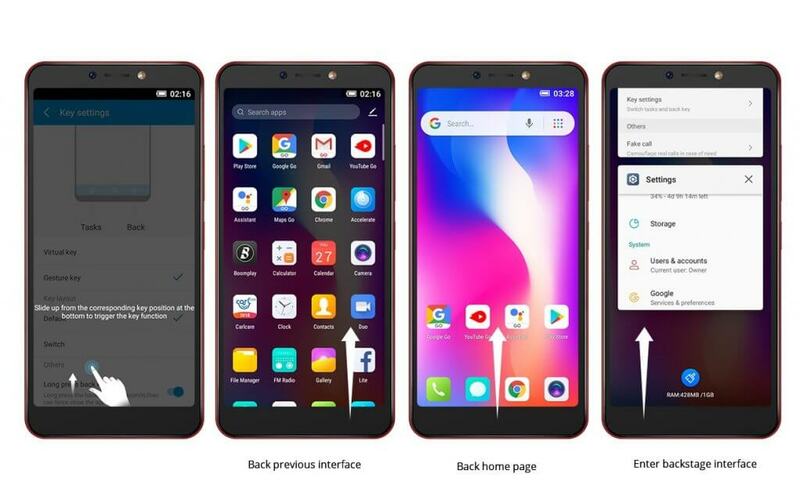 When you turn on the Itel S13, you will feel the heavy presence of Android 8.1 Oreo (Go Edition) OS with just some few tweaks on the UI and some custom features to leverage on. On the Itel S13, there is an I-smart app that helps you launch your favorite apps with just a single swipe. 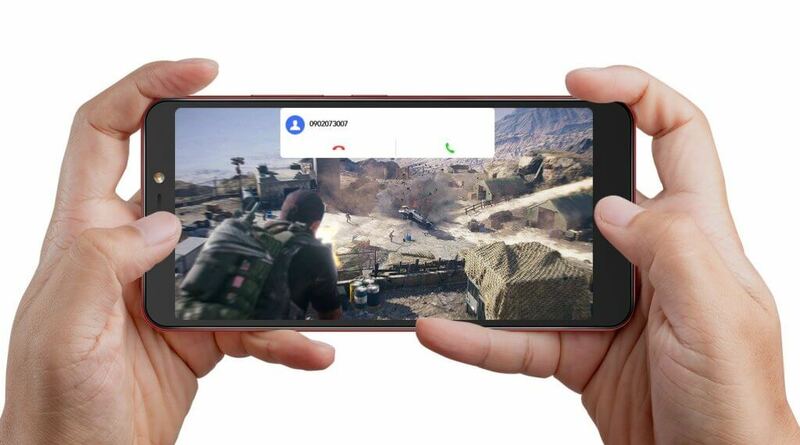 There is also a do not disturb mode to activate while gaming or watching videos. on the spec scene, the Itel S13 ships in with a 1GB RAM and 8GB ROM there is also room for expansion via micro-SD card slot. The Itel S13 comes with a MediaTek chip and runs on a 1.3GHz quad-core processor. When you see the letter “s” on the name of an Itel smartphone, everyone knows it stands for selfie. The Itel S13 is also no far from that method of identification. The Itel S13 is a budgets selfie-centric smartphone that is offering more for less. It is in fact the cheapest and also the best budget selfie phone in Nigeria. You can hardly find any budget selfie smartphone to that can compete with the Itel S13 in Nigeria. From me, I say thumbs up to Itel-mobile.